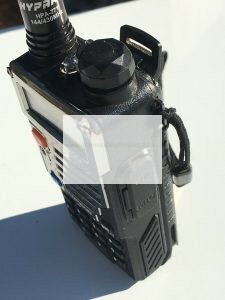 Why the Baofeng UV-5R Radio is the best budget survival Radio? The Baofeng UV-5R Radio is a great choice for prepping on a budget. The Baofeng Uv-5r Radio has been talked about a lot in both the Prepper and Survival circles. These inexpensive radios are a great way to get started on communications for prepping or survival in an emergency situation. 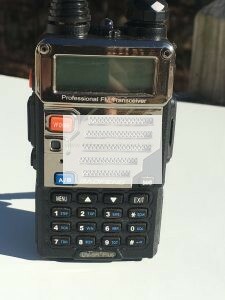 These radios can be had for less than those cheap walkie talkie radios carried at most box stores. In a hurry>> Click here for The Baofeng UV-5R Radio. If you would like to learn about communicating when in an emergency then check out my 4 part blog post. Not your basic walkie talkie. This little radio has twice the range and is more versatile than a regular walkie talkie. It not only transmits on the ham radio range but is capable of transmitting on the same frequency range as your GMRS and FRS walkies. To operate in the Ham radio range you must have a license which requires a fee and a test, but to operate in the GMRS/FRS range you only need to pay a fee. 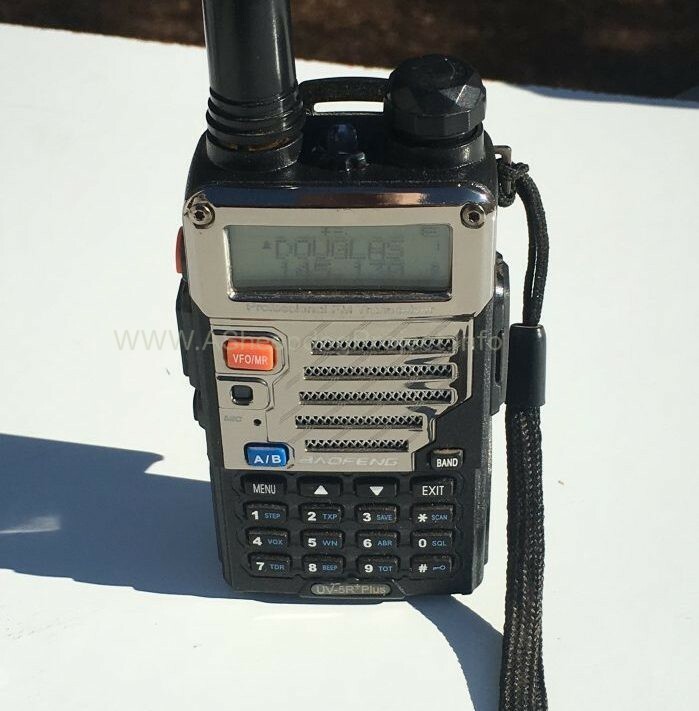 The advantage of the Baofeng UV-5R is that you don’t have to buy one type of radio now and another later on. Built tough lasts a long time. The radio is made from some durable hard plastic that can take a beating. I accidentally dropped mine one time from chest height onto asphalt and there was only a minor scratch. It comes with a 1800 mAh (milliampere-hour) battery that will last an entire day of use on a single charge, but you can buy a larger 3800 mAh battery that can last a few days. So easy to program a child can do it. Well not really, at least not from the instruction book that is provided which should only be used as a fire starter. There are however plenty of videos online that show you how easy it can be. It can be done both by direct input via the radio or via a programming cable that you can connect from your computer. There is even free software known as CHIRP that makes it a snap. 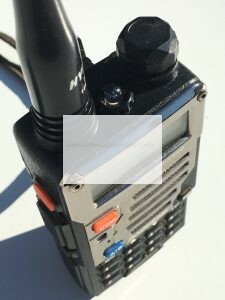 The Baofeng UV-5R can be used as a poor mans repeater by linking two of these together with a cable. 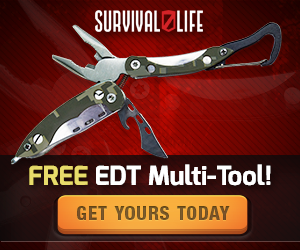 This will allow you to double your range or use in mountainous areas to keep in contact. Since the radio is sold at such a low price point it leaves plenty of funds for accessories. A simple search will show you the plethora of accessories that are available for the radio. Such as a external speaker microphone, headset microphone, car battery chargers, longer antennas and the list goes on. It’s small and easy to pack. The radio is small and lightweight. It’s dimensions are 3.5″tall x 2″wide x 1″deep. It has a removable antenna which allows you to pack it in a side pocket of a backpack, in a purse or a briefcase if need be. 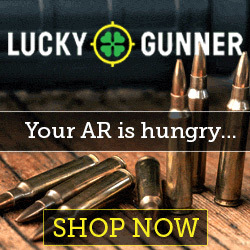 For under $30 Dollars I believe that you can’t find anything better that does so much. Can you?